Battery Operated Wireless Interconnect Smoke Alarm. Voice can be easily programmed for alarm’s location within the home (11 pre-programmed choices). Voice also notifies which hazard is being sensed. If alarm in kitchen senses smoke; all alarms will say: Warning; evacuate! Smoke in Kitchen! 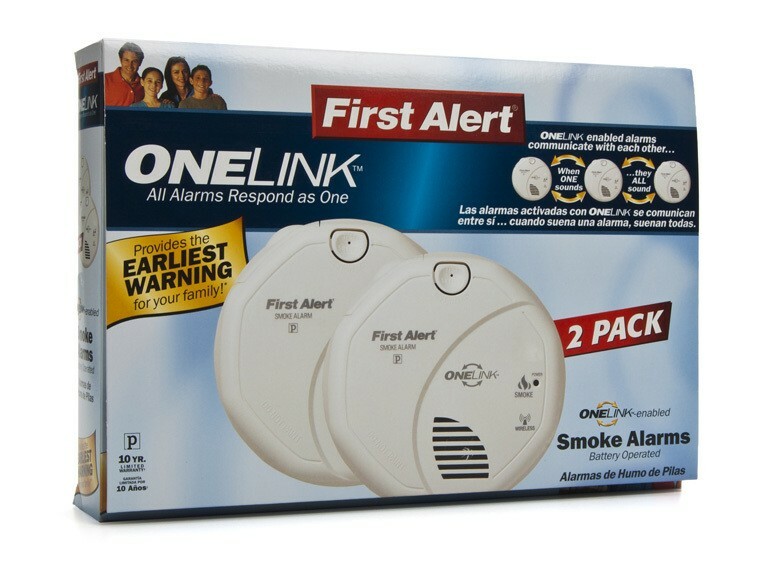 Easily link alarms together with the press of a button. When one alarm sounds; they all sound for maximum whole home protection. Photoelectric smoke sensor reduces nuisance alarms from cooking smoke or shower steam. Easy access battery drawer: no need to remove alarm from ceiling to change battery. 10-year limited warranty. Meets UL standards. * This product is intended for non-professional do it yourself installation. If you would like information about a professionally installed and monitored system, please contact First Alert Professional at 1-800-921-6025. First Alert Professional is not affiliated with BRK Brands, Inc.